Wow! Much to be said about the fall finale of Once, and while Storybrooke’s fairytale characters got their happily ever afters, did they really? Spoilers Ahead, (and soon to be rough waters I’m sure!) Arrr! I said it once before and I’ll say it again, Regina has to be my favorite character in this TV show, and she has also made her way into my heart as being one of the best characters ever written on television. It is amazing to me when you are able to write a character that is so well-rounded that one minute she is evil and you are hating her, and the next you feel bad for heartbreak. THAT right there is the mark of good character building. THAT right there is the mark of good writing. I cannot be more in love with this character, ah, thank you writers! In ‘Queen of Hearts,’ we learn that Regina’s mother, Cora, was banished to Wonderland by Regina, where she becomes the Queen of Hearts. I mentioned before that the Never World reminded me of the Queen of Hearts, but I had no idea how close I actually was, haha. She really is the new big bad! While Snow and company try to figure out a way to get out of their predicament, Emma surmises that she, the savior, is really a pawn in Rumpelstiltskin’s plan to break the curse. He admits later to getting her where she needed to be, when he needed it, but her strength is all her own. A fact that Cora learns when she tries to rip out Emma’s heart and finds that she can’t. Could it be that Emma really is the savior after all? Planned or not? Henry is able to convince Regina to stop Rumpelstiltskin’s curse to let Emma and Snow through the porthole unharmed, and while she gained Henry’s respect and appreciation, what did she really gain? She, who loves her son, a son that doesn’t trust her. This is where I feel sorry for Regina. It really is quite heartbreaking! Meanwhile, Mulan and Aurora are left in Enchanted Forest world, where they’ve decided to set out on a quest to get their Philips’ soul back. And while Snow, and Emma have finally been reunited with their families…Hook and Cora find another way to enter Storybrooke…soon to be rough waters ahead! I can’t wait! I think it was good to leave Mulan and Aurora where they are, as there is a lot that we still don’t know about them. This also gives us more of a chance to see more fairytale characters that we haven’t met yet. (I seriously hope the little mermaid is one of them!). Regina really has lost everything, will it be so easy for Cora to manipulate her back into being our Evil Queen? And what happened between Cora and Rumpelstiltskin? Ah, much to be learned and viewed and I just can’t wait! I enjoyed the Emma-centric episode much more than Red’s for some reason…and I think a lot of that had to do with the love story. Red’s was great too, but the wolf pack seemed to lack credibility. I think if they expanded the flash back through a few episodes, Red’s relationship with her mother, or lack there of, would have made more sense to me. Disclaimer: Spoilers in this review! In Story brooke, Red gets framed for the murder of Gus the mouse and another man by Spencer/King George as he tries to take his revenge on Charming. For some reason, he has it in his mind that Charming is not as good as every thinks he is and wants to reveal that he really is just a lowly Shepard who can’t lead his flock sufficiently or whatever. Mainly, I just think King George is dumb. In flash back enchanted forest world, we pick up some time after Snow and Red join forces, (after Red has to leave her village for killing Peter and everyone discovering she is a wolf.) Red discovers a wolf pack and coincidentally her mother is with them, surprise! Granny lied again! The pack teaches Red how to become the wolf and in doing so, she can control it. Meanwhile, Henry is still haunted by dreams that turn out not to be dreams, but a limbo of some kind. Whenever someone endures a sleeping curse, according to Mr. Gold, they return to that limbo in their sleep and to unimaginable horrors. He does, however, give Henry a medallion or potion of some kind that will help Henry control what happens in that world. On the house! Interesting. But, we are not fooled Mr. Gold! Magic ALWAYS comes at a price! Henry also discovers Aurora in limbo with him and introduces himself and so the episode ends with Emma and Snow in shock. How can their friend dream about Emma’s son, a person she’s never met? I personally hoped the dreams had something to do with another big bad…sigh. The queen of hearts seemed like such a fantastic idea! But plus side: Emma and gang now have a way to communicate with Story brooke. Rumple so easily giving up a magic solution to Henry for his problems. On the house he says…but remember how giddy he was to teach Regina her magic? The mob and the whole “Kill the beast” feel to the end of the episode. Where was Gaston? Oh! King George burned Jefferson’s hat, his only hope for a portal to enchanted forest world. Charming almost lost it. Maybe he really is just human after all? Granny with that cross-bow again! She’s so awesome. Charming as sheriff. Still looks good. Yep. Ruby and Gus the mouse scene…I wonder when Red will have some kind of romance in her life? Loved seeing the closeness between her and Belle, too! I can’t believe we have to wait a whole two weeks just to see what’s going on in this dream world of Aurora’s and Henry! Ugh! Does this mean more flashback world of the sleeping princess? Hope so! Once Upon a Time Review 11/4/12 – What’s so great about Tallahasee? Hook and Emma make a climb up the bean-stalk in search of the magic compass, while in the flashback world, Emma falls in love with a fellow car thief, Neil. A man, who, coincidentally turns out to be the mysterious man in the very first episode of this season. Meanwhile, down on the ground, Aurora is haunted by dreams, a side effect from her sleeping curse. While Mulan honors her promise to Emma, by marking time in the dirt with a stick. If she’s not back in ten hours, cut that bean stalk down! There was a lot of character juicyness in this episode and there is definitely no way that I can cover it all, but here’s an interesting plot twist: Perhaps Henry’s father is not as bad as Emma believes him to be. Does this mean that Once Upon a Time’s loneliest character might actually get a chance for a happily ever after? While teenage Emma in the flashback world definitely appeared wise and more grown up behind her years, the love that she had for fellow thief Niel was believable. It is even more understandable now why Emma struggles with trust. A fact that becomes apparent to Hook, who gets left behind with the giant. Every character that has been through a sleeping curse goes through nightmares, a side effect, Snow says. Of a red room, fire and someone watching. For some reason, all I can think about is the Queen of Hearts. A coincidence that every one else has the same dreams? I think not! Snow said that they go away after a while, but she turned away when she said this. Dun, dun dun! Now, what is in August’s box of tricks? My thoughts: maybe it reveals the future. We will see Henry’s father again! The love between Niel and Emma. He’s not so much of a douche after all. I loved seeing some back story of Emma, and definitely makes me feel more empathetic towards her character. Well, I FINALLY got to watch last Sunday’s episode and what is more appropriate for Halloween than Dr. Frankenstein? 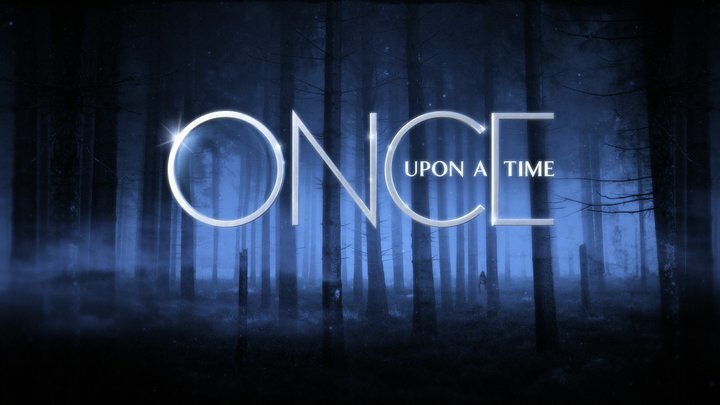 I must say, I love Once Upon a Time’s incorporation of characters from all different worlds and stories. It is a fan fiction writer’s paradise! In this episode, Regina tries to let go of the past; the memory of her fiance, Daniel. She is also trying to honor Henry’s wishes to not use magic and visits Archie to talk about it. Meanwhile in present day fairytale world, Cora destroys Mulan and Aurora’s “safe haven” and leaves a survivor behind – Captain Hook. Snow and Emma are not fooled by his tale of being a blacksmith and immediately get to the truth of the matter. Regina is still haunted by the memory of her lost love in present day Storybrooke, and in the flashback fairytale world, we are reminded that it was Rumpelstiltskin that taught Regina her magic. We are also introduced to a character’s identity: Dr. Victor Frankenstein, or Dr. Whale. And as told by Jefferson, he is the only one who can bring back her Daniel from the dead, because he has something more powerful than magic: Science! David or “Gramps” giving Henry knight lessons. Horseback riding! Speaking of eye candy…Our prince charming looks pretty good with a weapon strapped to his chest and that sheriff badge. Just saying. Regina’s emotion in the stable when David tries to kill Daniel. Oh, and Jefferson! He has this “holier than thou” attitude that I’m just loving. There was a lot in this episode, including a lot of information about Regina’s past – we love seeing flashbacks of the young queen and any scene between her and Rumple is just the best, of course. The most surprising was the revelation of Dr. Whale’s identity. While appropriate for a Halloween week episode, I was a bit surprised and did not expect that at all. To be honest, I thought Dr. Whale had more of a princely or knight sexual appeal, but there are many interpretations as to the character of Victor Frankenstein. I always thought he was a bit of a coward, though. Here he appears much more lecherous. Still handsome, of course. Well, FINALLY finished watching last week’s episode of Once Upon a Time’s “The Crocodile,” and all I can say is there’s soon to be rough waters ahead! With the introduction of Captain Hook, Once upon a Time creator’s have also introduced a new storyline: Captain Hook has paired up with Cora, (Regina’s mother) in the present day Enchanted forest world in the hopes to get to Storybrooke, Maine. Hook for his revenge on Rumpelstiltskin and Cora for Regina, of course. This episode focused on Rumpelstiltskin’s back story, whilst progressing Belle’s story in the Storybrooke world. Meanwhile, in the back story of Rumple’s long search for his son, we are introduced to a “Killian Jones,” a ruggedly handsome Captain, who sweeps Rumple’s wife, Mila, off her feet, and who eventually becomes the angry Captain Hook of the Peter Pan world. With the introduction of a magic bean and a man’s desire to never age, we have the bumbling, weaker side-kick character of Smee. I must say, I am impressed with the show’s ability to introduce so many new characters in one episode but still progress the plot. An ability, I believe, which is lost in a lot of our newer television shows! Captain Hook is hott! Thank you creators! No yucky long-haired wig! Charming has become the new sheriff. Red’s nose is more sensitive lately. (The wolf thing she says). More on her story to come, I’m sure! Belle’s character grows in strength, sticking to the story we know and love – huh, she likes books! Who knew! Rumple asking Charming for dating advice. No Emma, Snow, Aurora or Mulan in this episode I’m afraid. Will be interesting to see the explanation we are given for why some fairytale world characters remained and why the rest of them were cursed. A protection spell placed on the land perhaps? There was a lot in this episode, I definitely didn’t cover it all. If you have some thoughts, let me know! Looking forward to the new episode! Finally! More on Dr. Whale! I have to say, I always thought Dr. Whale was a bit off, but Frankenstein? Hmm, perfect for a Halloween episode! Well, after going on hiatus from here for a while, I’ve come back with an idea. I will now only review shows that I think are worthy of viewing. I like trying new shows and giving people a heads up on great TV and what to avoid – but this girl just doesn’t have the time. After wheedling out the shows that I think will make or break it this season, I think I will stick to my reviewing of Once Upon a Time and a new one I have high hopes for – Arrow. That being said…Once Upon a Time certainly knows how to pull the heartstrings! Disclaimer: Mild spoilers in this review! Sunday night’s episode of Once Upon a Time seemed to focus on this theme: a parent’s love, and what said parent may or may not do for the sake of their child. The back story focused on Snow and Charming; and Snow meeting Charming’s mother. Lancelot makes an appearance as a knight for hire working for King George, and admits that he has fallen from grace because of a woman. All I can say is that I am relieved that they gave this Lancelot a new face and have not fallen into the cliché of making Lancelot the Casanova of the Round Table; like what we’ve seen in various movie renditions. More of his story to come, I’m sure! Snow, Emma, Mulan and Aurora spend some quality time together in this episode and I have to say I am impressed with the way these characters are coming together. Pairing two unlikely characters (Mulan and Aurora) together was a risky business, but I am loving the comradery we are seeing between these two. They are learning and growing from each other and I love how Mulan is just the right amount of bossy and caring for the princess Aurora that we can’t help but care for her some, too. I also love seeing Emma in a world where she is not comfortable, because it is also forcing her to grow as a character. Emma is hard to sympathize with at best because she has always been so cold. I, personally love her complexity. But in this episode we are reminded again why she is so closed off and the scenes between her and snow are much more poignant because of it. Regina’s joy at getting a call from Henry. We love the boy, but a woman’s heart can only be broken so many times. Once again we are left feeling sorry for the evil queen. No Mr. Gold in this episode, but that’s alright. Lots of Charming, though, to make up for it! King George is in the Storybrooke world, too! (Alan Dale) Lost fans will recognize him as Charles Widmore. Snow saving her daughter from the ogre. Snow flipping Princess Aurora over her shoulder and telling her to get over her crap and find new ways to channel her anger. Will be interesting to see how she finds ways to do this. Jefferson’s reunion with his daughter. Cora, Regina’s mother. The big bad is also in the Enchanted Forest world, huh, go figure. And lastly, Emma admitting her anger to Snow and her realization that she is not good at being a daughter, because she never had someone to put her first before. This scene between Snow and Emma really moved me. (It’s also because I am a sap and get too attached to characters that I love.) But there were a few times in this episode where the tears were just at the surface. Another great example of good character development and growth. Another great episode! It is the mark of great writing. To be able to take your characters anywhere. To make them grow. To show their weaknesses, to show their strengths. To remember that a character is loved not because they are perfect, but because of their imperfections. Because perfect characters are boring characters and no one is as UN-boring as Storybrooke’s very own evil queen, Regina. The episode focused on her story this time around and I love how we get to see the building blocks of evil and it makes us question and think: What is evil? Who is evil? Because everyone has a purpose of living, or a motivation of some kind. Seeing Rumpelstiltskin’s true golden self. Dr. Whale asking if he can date a nun. And then standing next to Blue in a certain point of an episode. Coincidental? I think not! Charming’s speech. He’s still got it! Regina’s realization that she doesn’t want to be her mother. Henry and “Gramps” at the diner. So adorable. A glimpse of the enchanted forest. Last night’s episode really reminded me how much I have come to adore these characters. It’s like with LOST all over again. I feel like I know these characters. They have written them so well that I feel like if they ever had to disappear, I would fight for them. That is the mark of great writing, and great characterization. And something that I think many TV writers/producers forget is the main point of great TV watching. We watch something because we love it. And Once Upon a Time definitely knows how to woo its viewers. I get the feeling that the series’ creators/writers worked very hard to give this show a fresh, new beginning. They wanted to start off this season with the right characters, the right excitement and present us with a new story (because the first season’s story had ended) and they certainly delivered! My brain is still swimming with all the questions that we have here, so I’ll do what I do best: ask questions of my own. What caught my attention the most? Dr. Whale. (How awesome was Snow mentioning her one night stand, hehe!) Who exactly is he? Is he his own prince?? Mulan!! I had heard that they were going to bring some new characters in. I must say, I love the casting and the portrayal of this character. Well done! The man at the beginning of the show. Who is he? Is he Mr. Gold’s son? I never thought I’d feel bad for Regina, until she gets that mark on her hand. And then about two scenes later, I’m hating her all over again because she’s got our Prince Charming pinned against a wall and she let Emma and Snow get sucked into the portal. What I loved about tonight’s episode? Well, Mulan, durh! Her costume. her hairstyle – yeah, everything! The idea of seeing Emma in a fairy-tale world. We’ve got fairy-tale creatures in the modern world, what happens when it’s the other way around? The soul stealer thing! Um, okay…he was creepy and believable. I was worried about how the magic would look in the real world, that it might be too corny. I worried in vain! It looks pretty cool if you ask me. Henry calling Prince Charming “Grandpa.” They were a family again…even if it was just for a moment. The fact that we’ve got a new story line to look forward this season! Plus, there’s new characters to look forward to! Lancelot. Captain Hook. Oh, I must say, I love this show, and tonight’s episode only just made me fall in love more. Sure, we’ve got cliché, but it’s good cliché and great characters. One things for certain, this show isn’t called “Happily Ever After” for a reason.